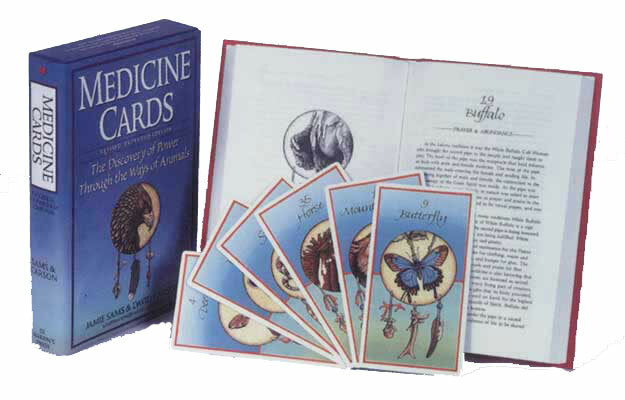 Medicine Cards: The Discovery of Power Through the Ways of Animals is a boxed set including a book and 52 beautifully-rendered animal cards. This divination system is based on the ancient teachings of Native America. The text explains how the cards can be used to receive guidance and healing messages from the animals. Medicine Cards is an elegant tool to use for personal growth and balanced living.